In today's 24/7 business environment, a dead battery is no longer an excuse for missed phone calls, texts and emails. That makes keeping mobile devices charged on the go a constant challenge. 1. Change your device's settings. 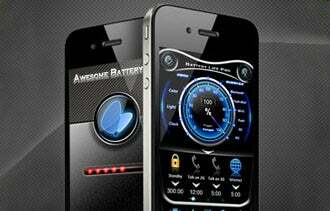 Data, Wi-Fi and GPS-services are among the deepest battery drains. Anytime your device sends or retrieves data from the Web, or through GPS, it uses a considerable amount of power. If you optimize your device's settings you can help extend battery life. For example, try disabling automatic email fetching and applications that update throughout the day. Also, avoid location-based apps such as Google Maps, or at least make sure to turn off your GPS after you're finished using those apps. Lighting the screen also uses a significant amount of battery power. Try dimming your screen and keep your device on standby when you're not using it. For deep battery management, free apps including Battery Magic and Battery Life Pro for iPhone, or JuiceDefender for Android, can help identify which functions on your device are using the most power. 2. Carry a back-up power source. Not everyone will want to lock down premium features to squeeze in a few extra hours of battery life. To get the most out of your device, take some extra power with you. Portable batteries that connect to smartphones are one option for travel-oriented users. For instance, myCharge from Commerce Township, Mich.-based RFA Brands offers universal extended batteries that are compatible with smartphones, tablets and eReaders. A myCharge universal power pack -- which starts at about $50 -- plugs into most any device via Micro USB, Mini USB or Apple connector. Snap-on batteries can also help power your devices. Mophie's Juice Pack works as both a case and charger for the iPhone and allows users to talk and charge at the same time. Units start at about $80. PowerSkin by Costa Mesa, Calif.-based XPAL Power offers battery cases for Android devices such as the Samsung Galaxy SII for about $70. For business owners who often carry a number of devices, the Powerbag is a backpack that includes a built-in battery that can charge up to four mobile gadgets and laptops. Powerbags start at about $140. Solar backpacks like those from New York City-based Voltaic Systems pick up energy from the sun as you go. A solar bag capable of charging a tablet starts at about $300. Keep in mind, however, that the panel-covered bags can be heavy for luggage, at about a pound and a half. 3. Charge while you drive -- carefully. A low-cost USB adapter for your vehicle's power outlet can be invaluable for charging up on the road and can be purchased for less than $20. However convenient, charging devices in cars can be risky. Electronic systems in cars usually put out a continuous charge that may overheat and possibly ruin a charging device -- especially if it's left plugged in long after it's been fully charged. Also, be sure to unplug your device before starting and turning off the engine as this can significantly drain the device's power. Bottom line: Having a smartphone or tablet run out of power on the road can be bad for business. But considering the options available, there is no reason that even the most power-intensive devices can't be made to stay productive throughout the work day.